si ern to, editor ni marishen yung mag-iinterview sa yo for success today. tol, kelan ka ba pwd? mukhang nasa dapitan ka pa ata e. baka di ka pa pwd next week for interview, favor na lang na sagutin mo na lang yung questions ni marishen through email. next week na kasi dead line. thanks tol…. i am happy to learn that you went to dapitan. how was it? sana nagustuhan mo. 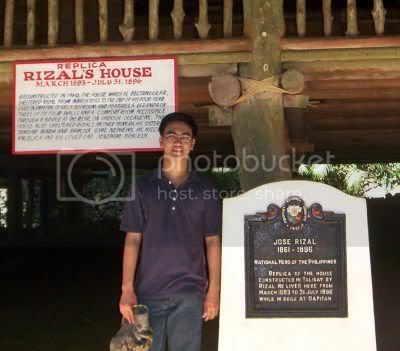 i was born there and that house, the replica of rizal’s house when he was exiled there, is my favorite place for siesta on weekends. si joe torres ito. wow, mukhang genius. hehe. musta na? Fans? Nakakain ba yun? Uy anong number mo ngayon?